2011 Nissan Rogue S Brilliant Silver S Clean CARFAX. FWD CVT 2.5L I4 DOHC 16V Recent Arrival! Odometer is 26298 miles below market average! 22/28 City/Highway MPG Do not miss your chance to SAVE HUGE $$ At Regal Nissan!!! 2009 Honda Fit Base Silver FWD 5-Speed Automatic 1.5L 16V 4-Cylinder SOHC i-VTEC Reviews: * Those looking for a small car with good fuel economy, excellent reliability ratings and a spacious rear seat will find much to like in the 35-mpg Honda Fit. Source: KBB.com 28/35 City/Highway MPG Awards: * 2009 KBB.com Top 10 Green Cars * 2009 KBB.com Top 10 Coolest New Cars Under $18,000 * 2009 KBB.com Best Resale Value Awards For more information, visit www.kbb.com. Kelley Blue Book is a registered trademark of Kelley Blue Book Co., Inc. Do not miss your chance to SAVE HUGE $$ At Regal Nissan!!! 2007 Cadillac DTS Luxury II Gold Mist Luxury II Clean CARFAX. FWD 4-Speed Automatic with Overdrive Northstar 4.6L V8 SFI DOHC Odometer is 33263 miles below market average! 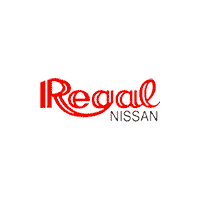 Do not miss your chance to SAVE HUGE $$ At Regal Nissan!!! 2013 Chevrolet Impala LTZ Silver Ice Metallic LTZ Clean CARFAX. FWD 6-Speed Automatic Electronic with Overdrive 3.6L V6 DGI DOHC VVT Reviews: * If you are looking for a spacious, simple full-size sedan with a solid track record for reliability, the 2013 Chevy Impala might be the right fit for you. Furthermore, OnStar's suite of concierge and emergency assistance services provide a level of assurance you won't find anywhere else in the segment. Source: KBB.com * Simple controls; available six-passenger seating; large trunk; strong and efficient engine. Source: Edmunds 18/30 City/Highway MPG Awards: * JD Power Initial Quality Study * 2013 KBB.com 5-Year Cost to Own Awards Do not miss your chance to SAVE HUGE $$ At Regal Nissan!!! 2013 Subaru Legacy 3.6R Limited Satin White Pearl Limited 3.6R Clean CARFAX. AWD 5-Speed Automatic 3.6L Boxer H6 DOHC 24V Reviews: * If you're looking for a sedan as well regarded for its safety as its comfort, the 2013 Subaru Legacy deserves a long look. A huge back seat and cavernous trunk are definite pluses, but it's the Legacy's sure-footed standard AWD, impressive crash test ratings and excellent fuel economy that we love. Source: KBB.com * Standard all-wheel drive; excellent outward visibility; spacious cabin. Source: Edmunds Awards: * 2013 IIHS Top Safety Pick (built after August 2012) Do not miss your chance to SAVE HUGE $$ At Regal Nissan!!! 2013 Mazda Mazda3 i Touring Dolphin Gray Mica Touring i CARFAX One-Owner. Clean CARFAX. FWD 6-Speed 2.0L 4-Cylinder Reviews: * If you want a compact sedan or hatchback that's both fun to drive and fuel-efficient, the 2013 Mazda3 makes an excellent choice. Strong resale value means it's a good bet in the long run, too. Source: KBB.com * Precise handling; Skyactiv 2.0-liter engine's exceptional fuel economy; well-equipped interior; four-door hatchback utility. Source: Edmunds Awards: * 2013 KBB.com 10 Coolest New Cars Under $18,000 * 2013 KBB.com 5-Year Cost to Own Awards Do not miss your chance to SAVE HUGE $$ At Regal Nissan!! !